Rockford, Ill. - Kevin Lankinen made 23 saves and Jacob Nilsson tallied a goal and an assist as the Rockford IceHogs downed the Tucson Roadrunners, 3-1, extending their season-long winning streak to six games Friday night at the BMO Harris Bank Center. Anthony Louis started the scoring for Rockford with his eleventh goal of the year at the 17:38 mark of the opening frame. Nilsson entered the zone and dragged the puck past a Tucson defenseman, then dished it for Louis to convert on a one-timer from the right dot. Luke Johnson extended the IceHogs lead in the second stanza, firing home the eventual game-winner on a shot off the rush high to the glove side of Tucson goaltender Adin Hill. Johnson now has game-winning goals in back-to-back contests. Lane Pederson pulled the Roadrunners within one later in the second, but Nilsson netted a 5-on-3 power-play goal with 4:51 remaining to put the game out of reach. The Rockford defense stymied the Tucson attack throughout the third, limiting the Roadrunners to just six shots in the final period. 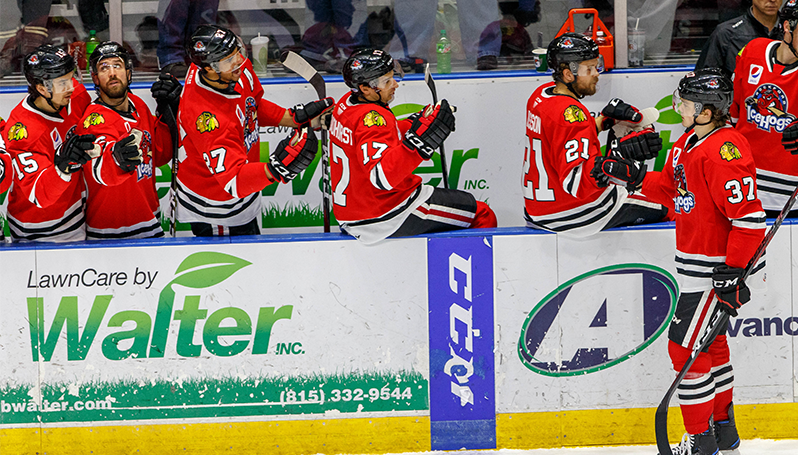 Rockford’s winning streak has moved the IceHogs from seventh to fourth place in the Central Division, putting them in the top half of the division standings for the first time since Nov. 25. The IceHogs take on the Tucson Roadrunners for Sock Monkey Night Saturday at the BMO Harris Bank Center. The first 1,000 fans through the doors will receive a IceHogs free rally towel, and can redeem the rally towel for a free IceHogs sock monkey at a later date.